The calendar of events for the 2018 Canadian Rally Championships has been revealed. Once again, seven events will make up the schedule starting in February and running to December. The season will kick off with the Rallye Perce Neige, Feb 2-3, in Maniwaki, Quebec. Known for challenging winter roads and long stages extending into the night. The Rocky Mountain Rally is the second event of the year. Located in Invermere, B.C., and held May 25-27, teams will race on difficult and technical mountain roads in the first two day event of the season. The championship travels east for round three, the International Rallye Baie Des Chaleurs, June 29 – July 1. Held in New Richmond, Quebec on the south shore of the Gaspé peninsula, Rallye Baie features international competitors from central America, taking on the best drivers in Canada. Rallye Défi holds the fourth spot on the calendar. Difficult and demanding roads are the feature of the event held in Montpellier, Quebec, September 7-9. Antoine L’Estage dominates this event, having won nine editions. Will 2018 mark a tenth? Once again, the series heads west to the Pacific Forest Rally in Merritt, B.C., September 28-30. Located in the Nicola Valley, the rally snakes along mountain ridgelines with large drop offs and cliff faces. The legendary Rally of the Tall Pines holds the penultimate spot on the calendar. Known for roads with a mix of gravel and ice, and some of the most technical roads in the series. Headquartered in Bancroft, Ontario, November 23-24, this one-day event test a team’s endurance. The 2018 season closes with the Big White Winter Rally. 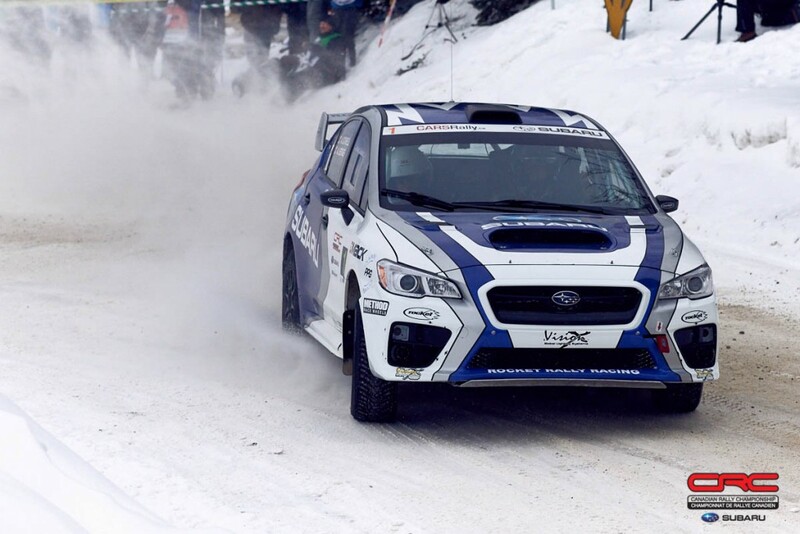 Held at the Big White ski resort in Kelowna, B.C., December 7-9, the rally is blanketed in snow, testing teams on roads with limited grip. You can follow along with all of the Canadian Rally Championship here, on Youtube, as well as Facebook, Twitter, and Instagram.